Is your dog having difficulties rising up or jumping in the car lately? Has he recently undergone an orthopedic surgery? Is he having hard time joining in with your common activities, sports or work due to mobility problems? Special properties of the water (buoyancy, hydrostatic pressure, thermal effect) create an unique and safe environment for the rehabilitation of patients after injuries / operations of the musculoskeletal system, neurological patients, older dogs and dogs with chronic diseases in which the movement is difficult or painful. Regular exercise in the water improves cardiovascular endurance and strengthens the muscles, and is therefore an excellent addition for maintaining the condition of healthy dogs, overweight dogs and as fitness preparation for sporting and working dogs. "Physiotherapy in human medicine is an indispensable part of any orthopedic intervention or recovery after injury. Treat your best four-legged friend with the help you need, and enable him to be able to spend as quality and as active time he can with you, for as long as possible." 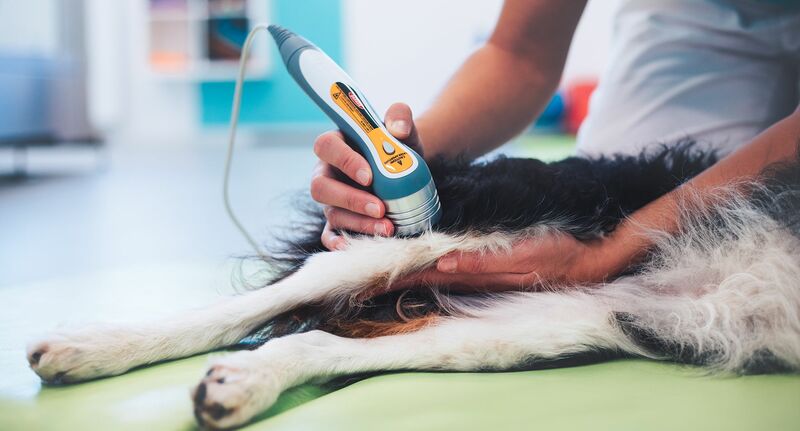 The use of Canine Rehabilitation / Physiotherapy can help to improve the physical well-being of our dog, a faster and more successful recovery after injury or intervention and a quicker return to normal life. With regular preventive check-ups and timely therapies, we can reach peak performance-level abilities of our working and sporting dog. We can help to reduce pain in older dogs, improve their mobility, overall condition, and thus help them to stay active for a longer period of time. Because we believe the knowledge and cooperation of dog owners is of great importance for a good end result of our dog’s well being, we put a lot of effort into providing educational content, seminars and workshops on the canine conditioning topics, prevention of injuries, and more.